My big, little sister turns 30 this year. Today, I turn 26 and memories of a life before the working world, seem a mere memory. They say life flies when you're having fun and whoever 'they' are, they're bloody right. When I was 16 I vividly remember a guy in a pub telling me 'I'd break hearts.' As far as prophecies go, it's a little weird but to a point, it's true. You don't get to your twenties without a fair share of heartbreak, mistakes and life lessons. You don't get to this point without the ups and downs and that's the beauty of life. 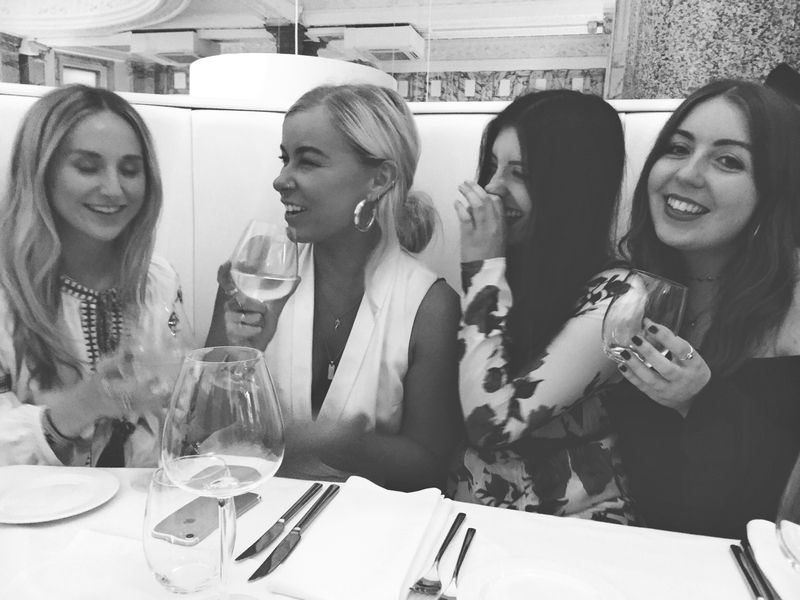 This blog has changed my twenties, my job has changed my twenties and the people past and present have changed my twenties. Weirdly, the older I get, the more I enjoy birthdays. When you're younger, you care about the party, the cake and the gifts. Now with every year that passes by, you see the people you love less to the point where having them there is enough of a gift. Priorities change, people change and everyone's life progresses. I'm originally from a tiny, tiny village only 17 miles away yet struggle to find time to go home. My best friend works in an office opposite mine and I only see her once in a blue moon. The purpose of your relationships develops. Your friends become less of a routine and more of a treat. Your conversations become the 'remember whens' and the 'I can't believe we did thats.' The hugs become meaningful, the banter with the lads more special and watching each other grow becomes an absolute privilege. You get to become best friends with your parents and the phone calls home become less about needing to borrow a tenner and more about the inside jokes. Your friends become less about the drama and more about the day to day learning and deep moments. Your life becomes less about dreaming of doing it, and more about, well, bloody doing it. It may seem like I'm making out 26 is old, I know it's not, despite Ste's best efforts to make me feel like it is. But life ticks by and a lesson we can learn no matter our age, is just how precious it is. We only get one of these things apparently, so whether you're 15, 21 or 39, if you're not on the right track, get off it. You're not a tree, you can move and change who you are, where you are, who you want to be and what you want to get from this life. I do have a bucket list, but I value the day to day pleasures more. Being inside on a rainy day, sitting next to an open fire, driving around my home country roads with the windows down and music blaring, not setting an alarm, a lazy breakfast, nailing a song on piano, hour long conversations about pointless topics, winning a game of pool, conquering my fears and doing anything that makes my heart light up.